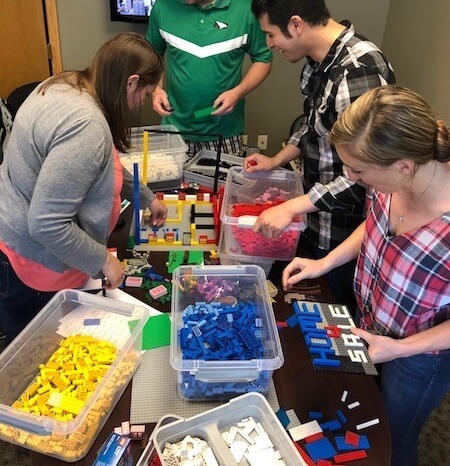 This summer, our creative team got to play with Legos. While that might sound like the sort of cushy thing that represents the stereotypical millennial workplace, it was actually an exercise in finding a better way. This fun-yet-stressful activity was designed to emulate many of the unreasonable, pressure-filled elements of delivering awesome work under a deadline. We had cross-functional teams of five come together and attempt to complete all the elements of a specialized client brief within one hour—a deadline that seems hyperbolic but has actually been real a time or two. 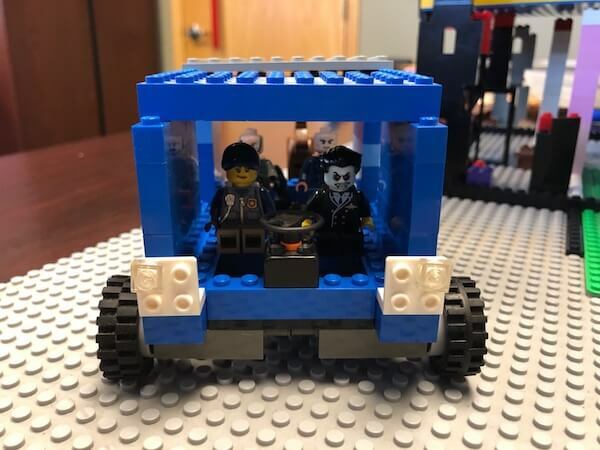 The brief initially seemed simple enough to the teams: Build a house, outdoor space, billboard ad and vehicle for a family of minifigs and their pets. But like all projects, the devil is in the details, and each team quickly found that completion would require every bit of their creative and collaborative abilities. The brief went on to restrict certain colors, require specific materials and provide details for each room and family member needs. The best teams spent a lot of time up front going through the brief and asking questions about the meaning and purpose of specific requirements. 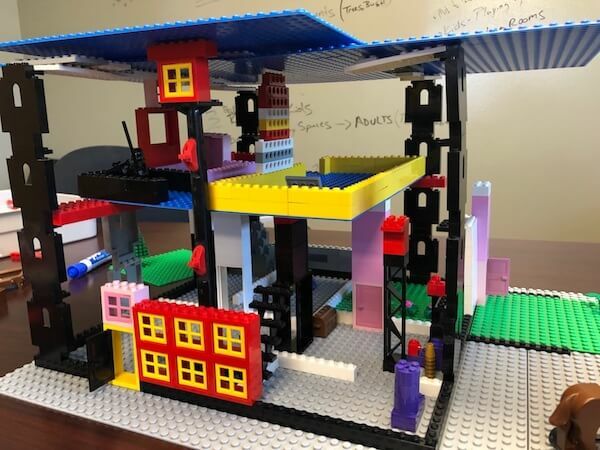 I acted as the client, a real estate developer for Tiny Structures Inc, and spent the hour throwing wrenches into the different teams’ well-laid plans. Lesson #1: We do thousands of jobs for thousands of clients in different industries around the world every year. While many of them go exactly according to plan, we’ve seen innumerable and comically diverse complications and changes arise that must be overcome to deliver for our clients and the communities and customers they serve. One of the common situations we see arise in complex creative work involves an insurmountable amount of work (given the time constraints) or task being requested by a client who is unaware that what they are asking for is, in fact, impossible. In this exercise, the impossible task was buried in the product specifications: Build the structure of the main home to be 12”x12”x15”. Easy to overlook, but can you remember the last 15” tall Lego structure you built? 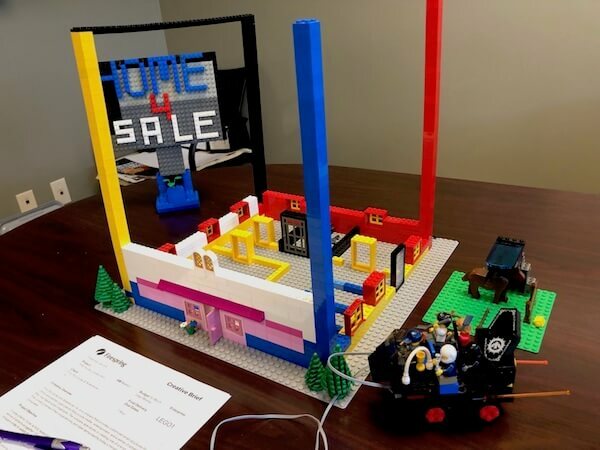 Our general disposition is to just say yes to everything as we don’t like disappointing prospects or clients with limitations, but in this case, teams would have required twice as much time in order to build something with those dimensions. Furthermore, the requirement was inappropriate given the 4-centimeter height of our home’s inhabitants. Lesson #2: It’s not our fault if the client requests something impossible, but it’s definitely our fault if we don’t push back. The best team renegotiated the height to better suit the needs of the inhabitants and make completion possible. Each team had an account manager that should have acted as the primary point of contact for the client and a central point of information for the team. One of the keys to successful creative projects is consistent internal and external communication. 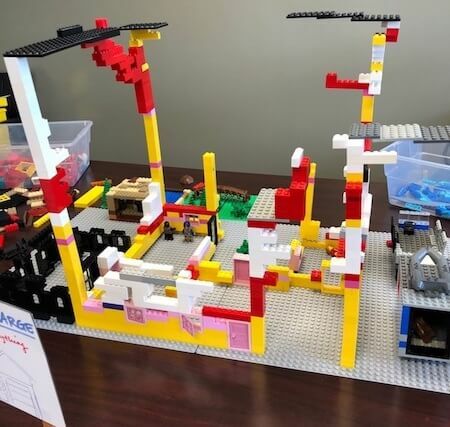 The very best teams involved the client in each stage of the design and build processes so that there weren’t any surprises and everybody on both sides of the work remained on the same page. Clients sometimes may not respect protocols and go around the AMs to speak directly with the team doing the work. This exercise was no exception. This practice makes it hard to keep the whole team on the same page and prioritize project tasks globally. It causes some major headaches if not dealt with properly. The best team helped the client realize this and walked them through why it was important to streamline requests and general project communication. Lesson #3: Consistent and frequent communication between creatives and the client is the secret sauce in a successful project. When we under-communicate or let the process be entirely dictated by the client, expectations aren’t handled appropriately. One of the classic wrenches we threw at the teams involved the client hearing about something from their “nephew,” who heard it from their friends on Snapchat, and how we need to change the job spec based on their inexpert recommendation. The “nephew problem” exists throughout the creative world as our expertise continues to be commoditized by young scrappers who believe they know what they’re talking about after watching a YouTube video, Googling some things and employing easy-to-use technology-based toolsets that appear to mitigate a lack of education, training and experience. Lesson #4: We have to prove the value of creative expertise all the time and earn the trust and respect of our clients one project after another. When we let inexpert opinions and feelings interfere with the integrity of our work, we do ourselves and the client a disservice. The best teams were both accommodating to the client’s original request, while offering a series of more professional solutions to the original amateur idea. Another area of frustration in the mechanics of creative work can involve the moving of deadlines with little or no notice. While we may have meticulously planned every task down to the hour, everything can change at any time and in order to be a great partner we need to be flexible and clever about how we react to changes. Additionally, people who can create incredible things in small amounts of time are often also habitual procrastinators given any kind of long-term leeway. In this case, our family of minifigs got home from their trip sooner than planned and needed to move into their house a few minutes early, depriving teams of the crucial final stretch where they thought they could complete so many elements prior to delivery. Many of the teams were left with hopelessly bad unfinished products that exposed the incredible cost of procrastination or improperly estimating a task’s complexity. Lesson #5: The rules change—learn to deal. In the end, one team emerged as the unquestionable champion of this exercise. They produced a home, outdoor space, billboard and vehicle that was not only complete, but also considered the actual uses of the spaces more deeply and thoroughly. They negotiated elements and found compromise to help the client get what they envisioned while constantly communicating with the client and each other. And by smoothing the process, intentionally advocating for better parameters and asserting their expertise, they were less stressed and more playful and relaxed throughout the work. 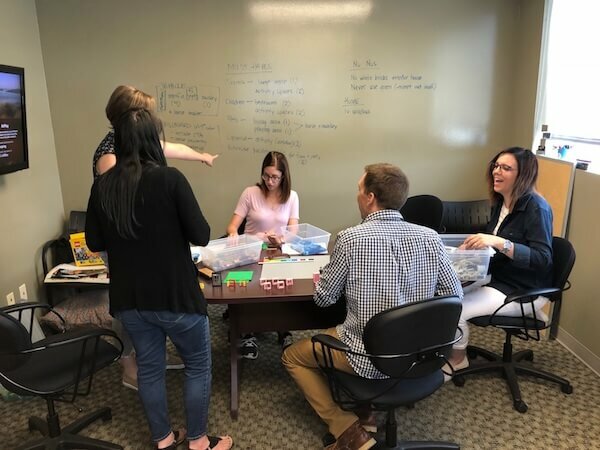 Ultimately, this exercise was a lot of fun and reinforced a general truth that we feel in our jobs: Work feels like play when we nail it together.